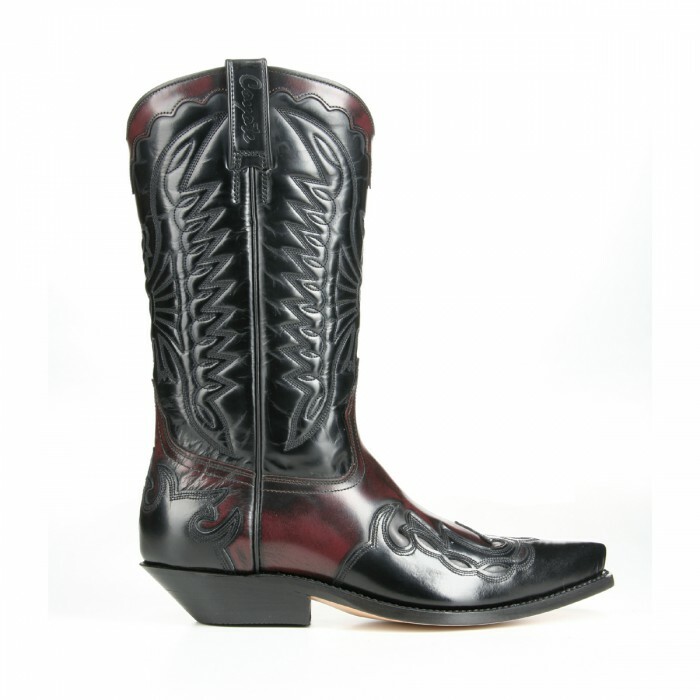 Mezcalero cowboy boots made from sturdy, smooth cow’s leather in black and burgundy. They stand out for their reliable workmanship, excellent materials and sturdy shape. with burgundy appliqués can be stylishly paired with a suit or, of course, also with a smart dress. 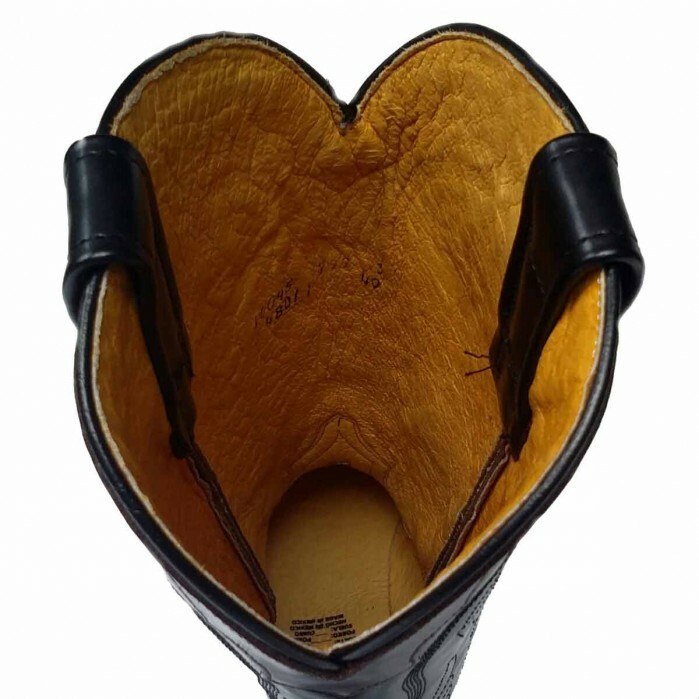 The leather inner lining and comfortable insole, similar to a footbed, mean they are extremely comfortable after just the shortest of breaking-in periods. 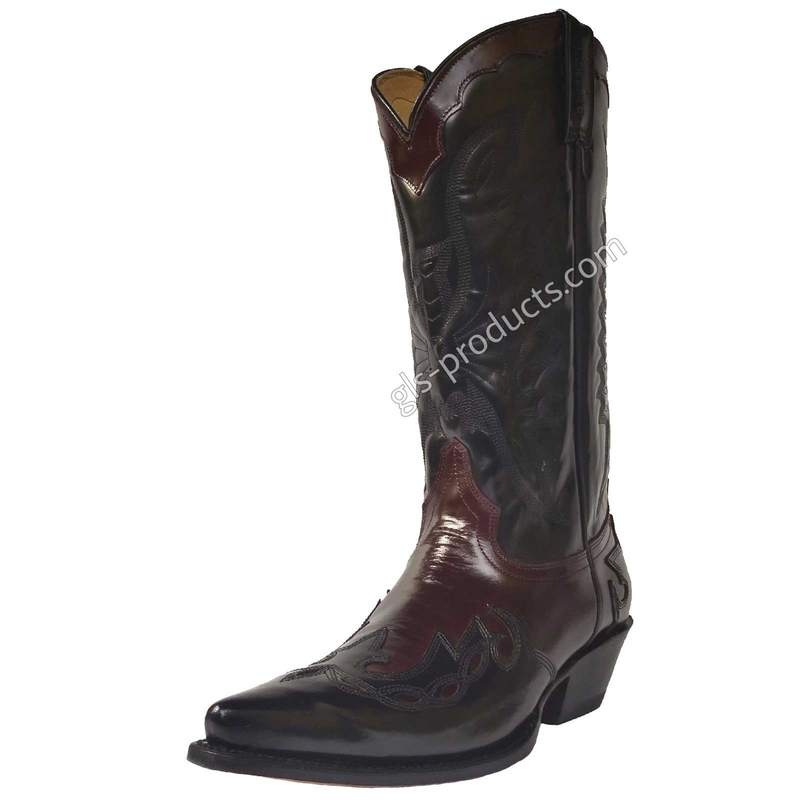 They have a classic cut and the shape will remain sturdy for years to come. 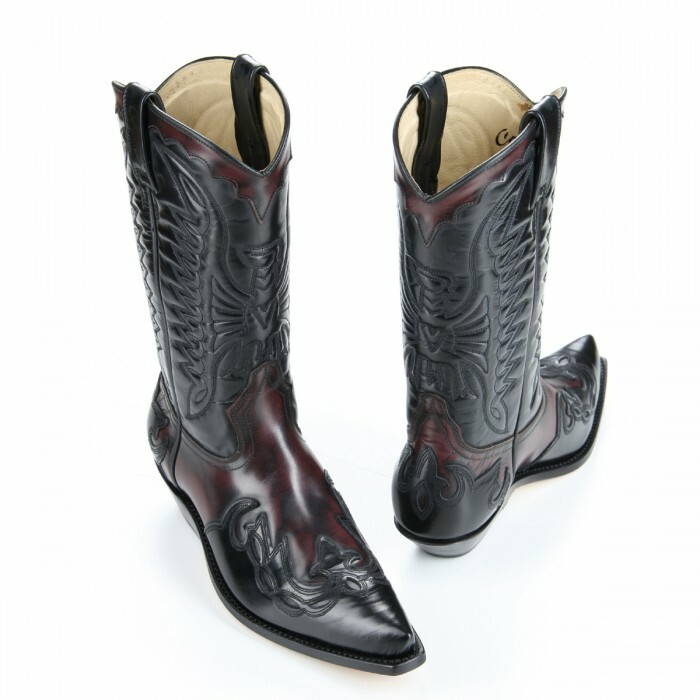 The boots are handmade in Mexico. 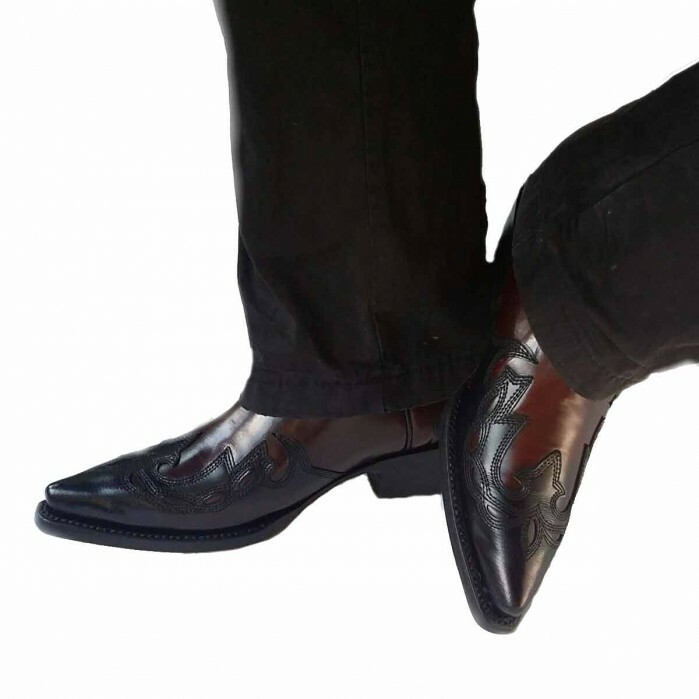 There is currently no rating submitted for Mezcalero 5034 Wine Western Boots.